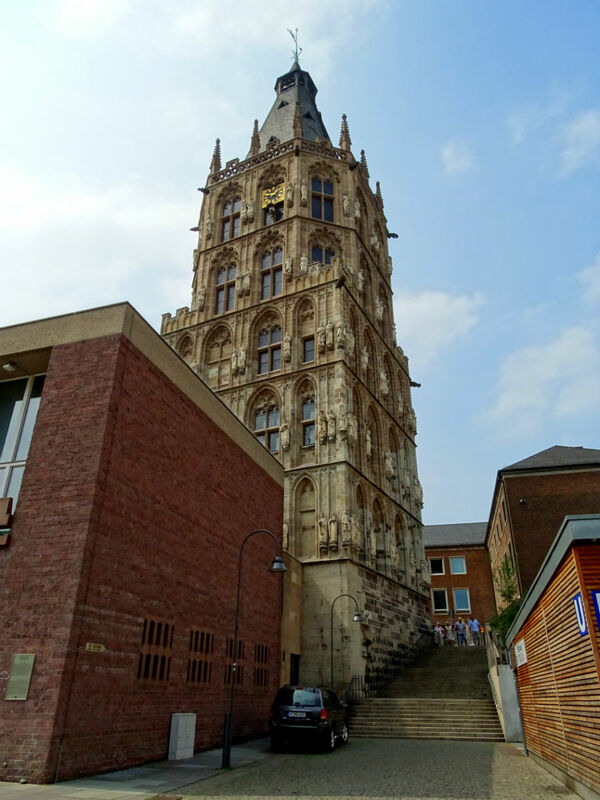 After the Belgian cities of Brussels and Bruges and a relaxed time in the South of Holland, with a visit to Rotterdam, we are on the last leg of our mini road trip. 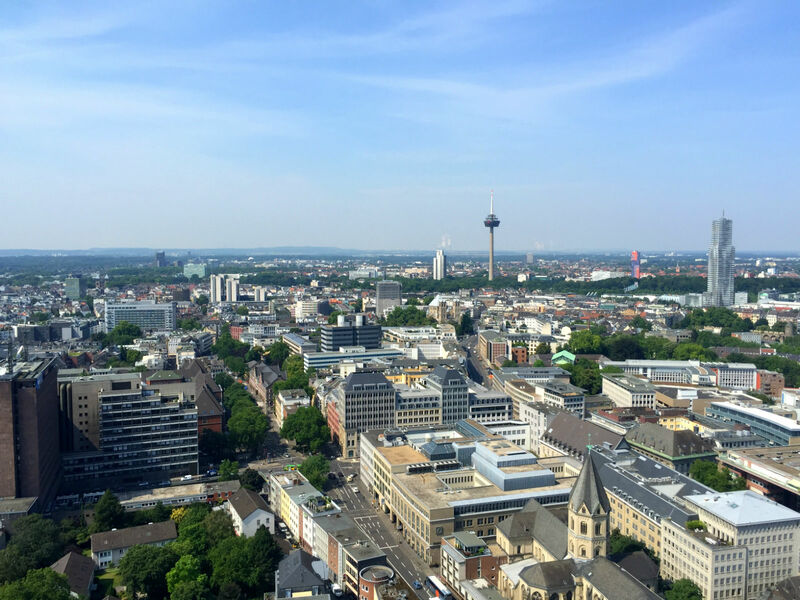 We visit the city of Cologne for the first time. 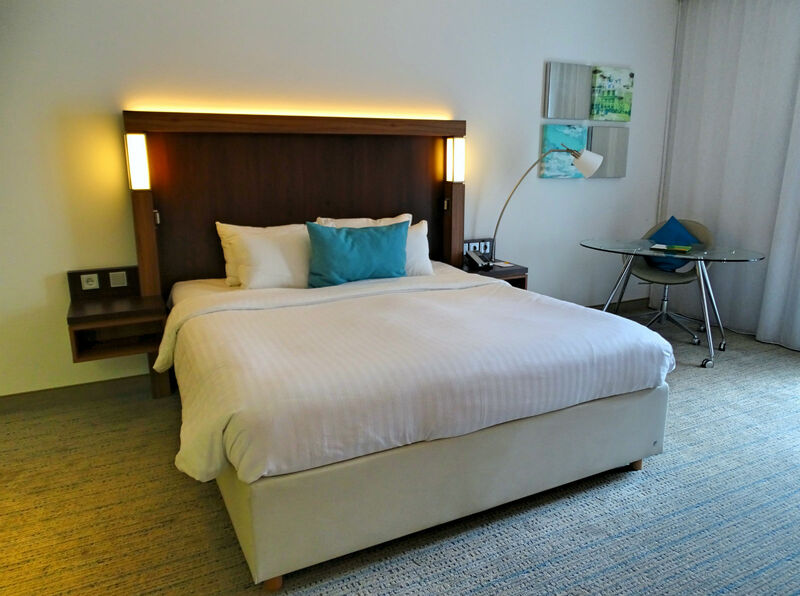 We arrive in the afternoon and check into our hotel first. 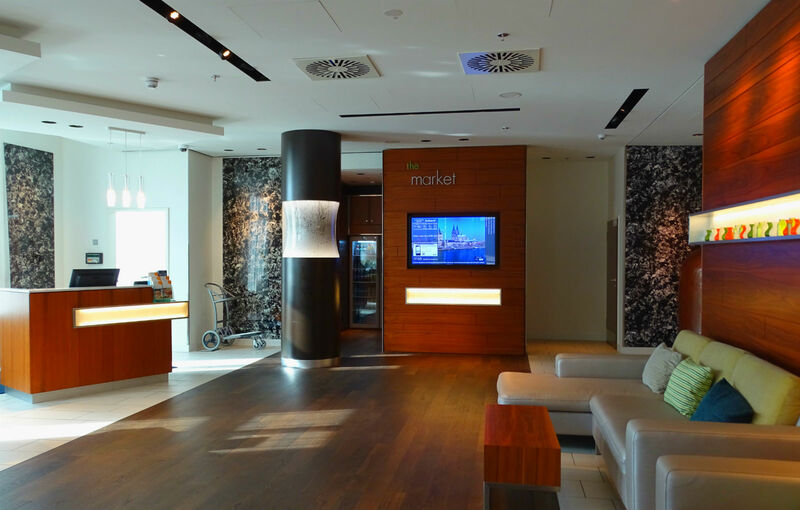 Our choice fell to the new Courtyard by Marriott Cologne a modernly designed City Hotel. 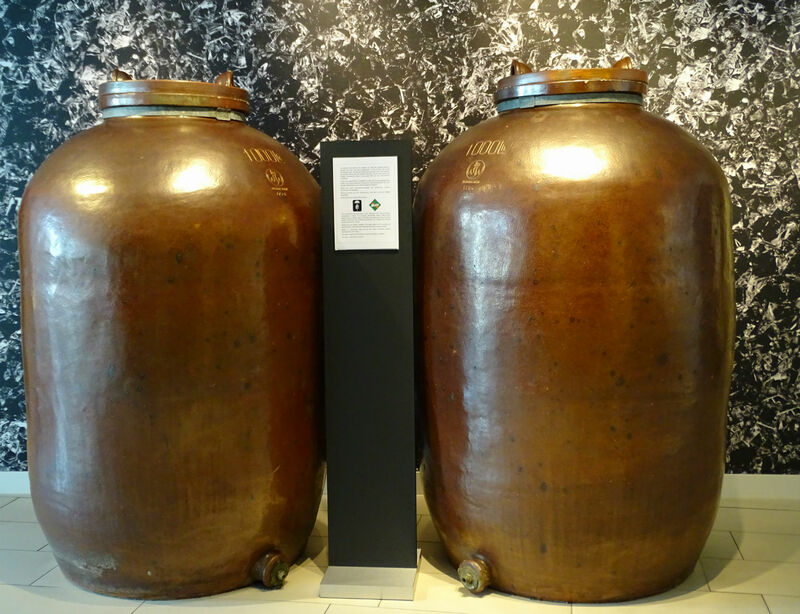 Even the hotel holds a piece of Cologne history, as it was built on the former premises of Afri-Cola. 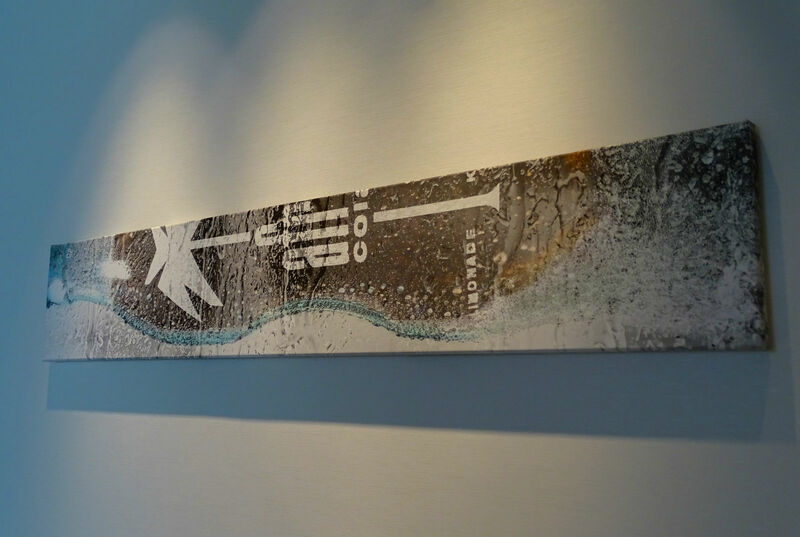 Evidence of this is found in the design of the hotel. 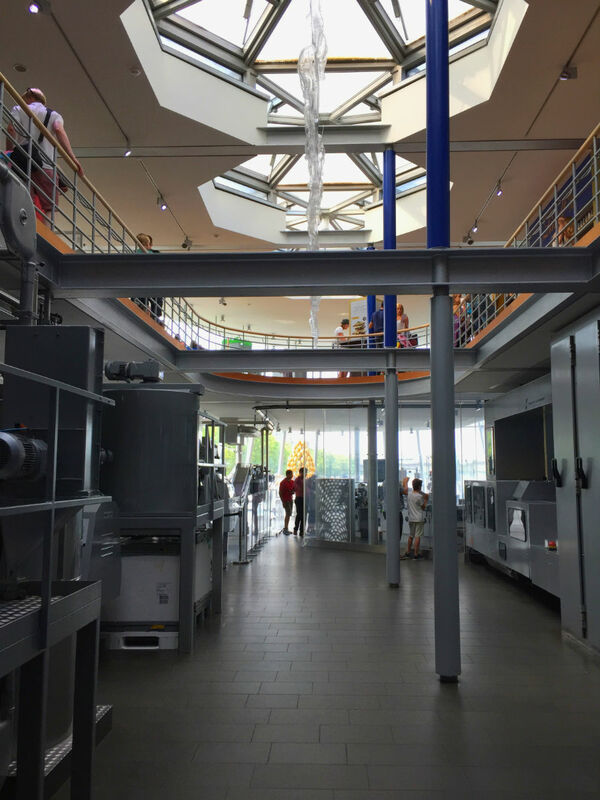 Thus, the columns in the foyer resemble the shape of the coke bottles and glasses on the elevators are filled, from floor to floor. 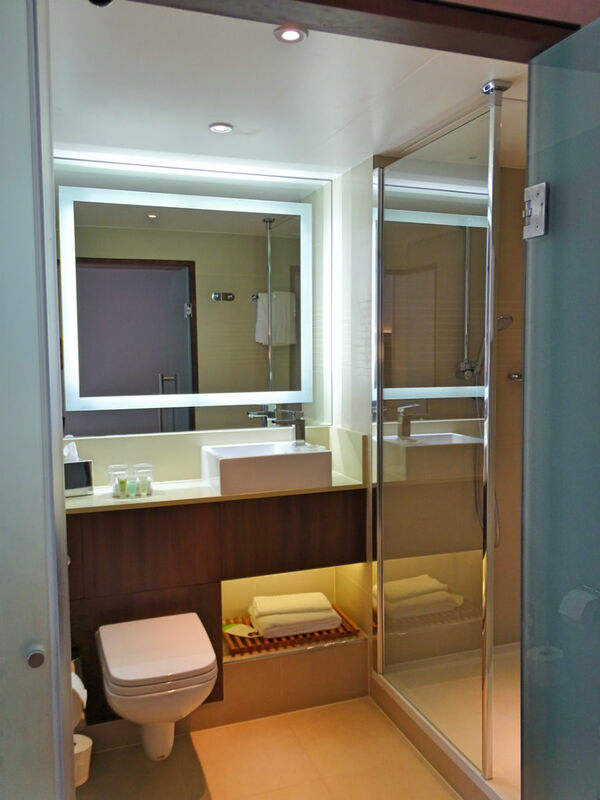 Our room is very spacious, bright, modern and – most importantly – clean and quiet. On our first night we allow ourselves to just drift. This works wonderfully in Cologne. We take the subway to MediaPark to eat something. 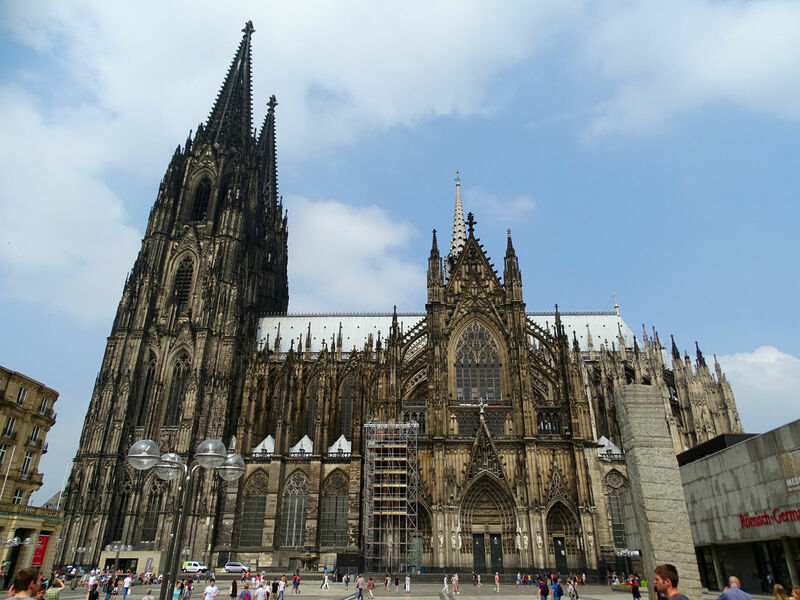 Then we walk to the Cologne Cathedral, where an organ concert has just begun. 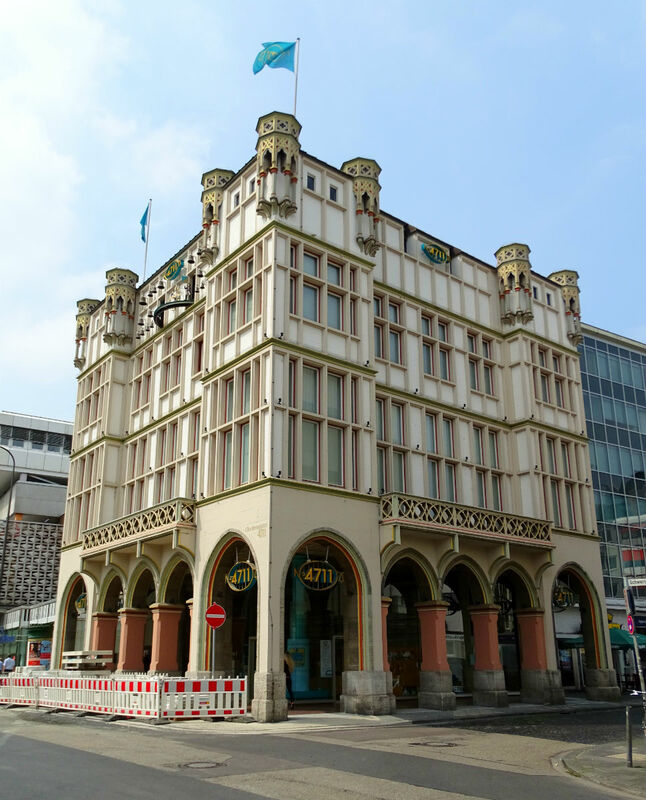 For a while we listen to the sounds and then stroll through the Fish Market to Heumarkt. 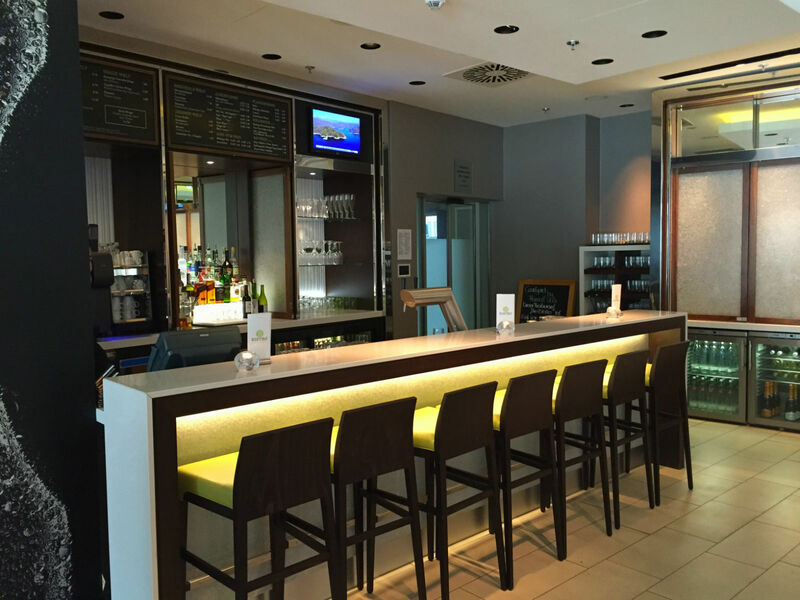 We follow a recommendation of the hotel, get on the train and cross the Rhine. 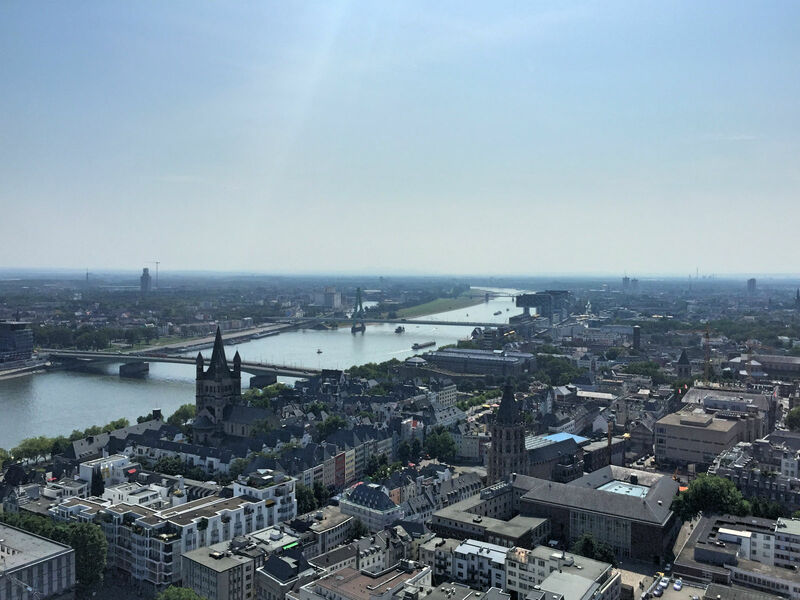 Like many others, we sit on the newly designed stairs at Kennedy shore and enjoy the view of the Cologne skyline. 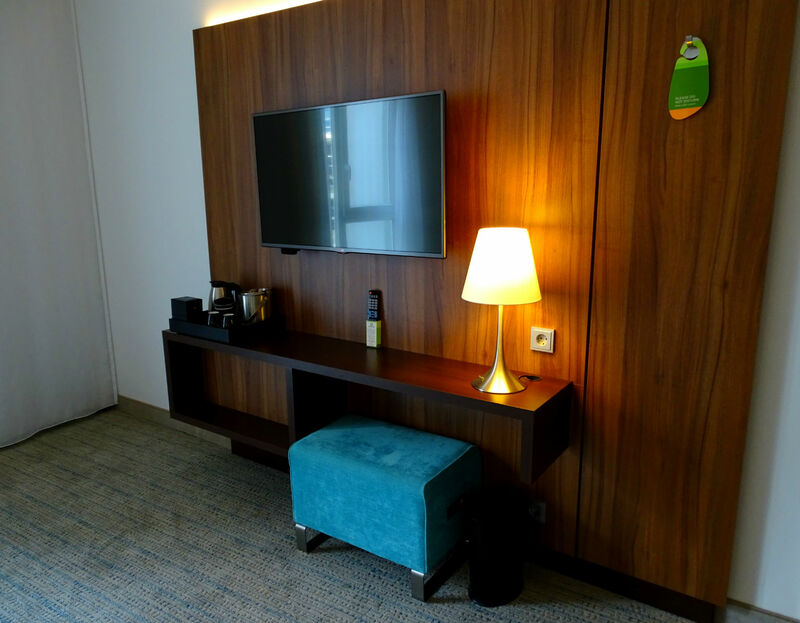 After an extensive and super good breakfast, at the hotel, we start our perfect day in Cologne. From Ebertplatz we take the subway to the stop Zoo / Flora. 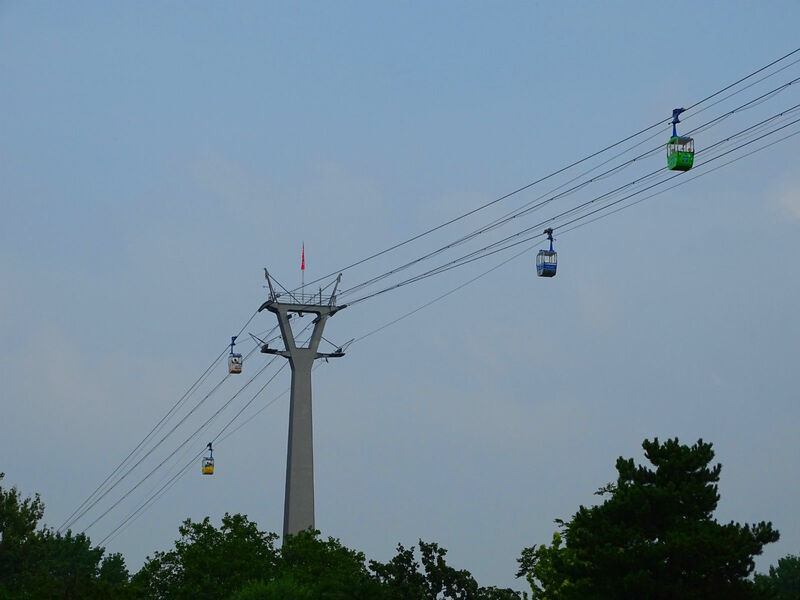 There, the first highlight of a visit to Cologne awaits: a ride on the Cologne cable way. 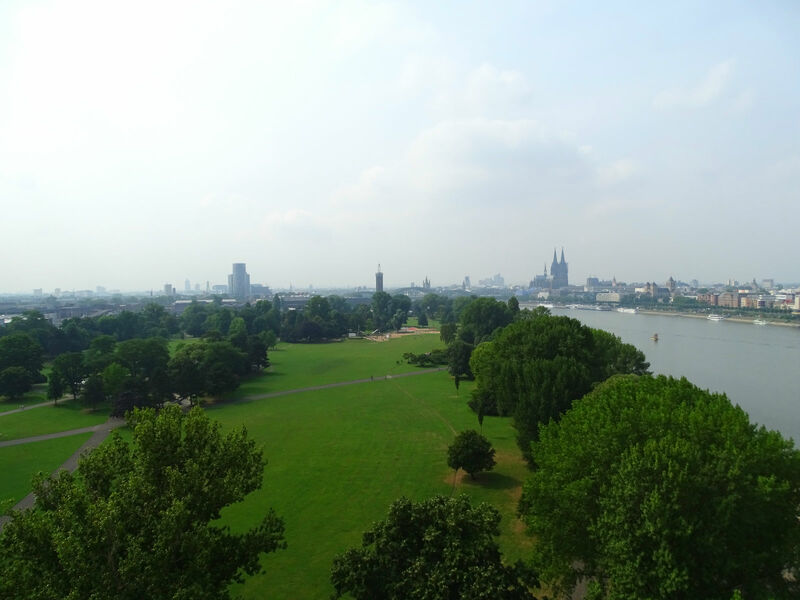 In the small cabin, we go over the Rhine and enjoy the view of the city. 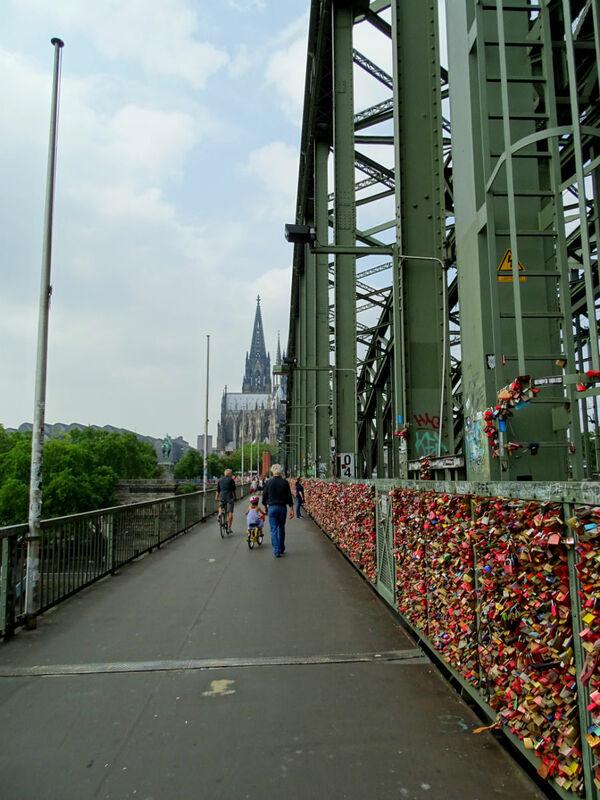 Through Rheinpark, we walk back towards Hohenzollern Bridge. Thereby we arrive at Tanzbrunnen (an entertainment area) and pass a beach bar. 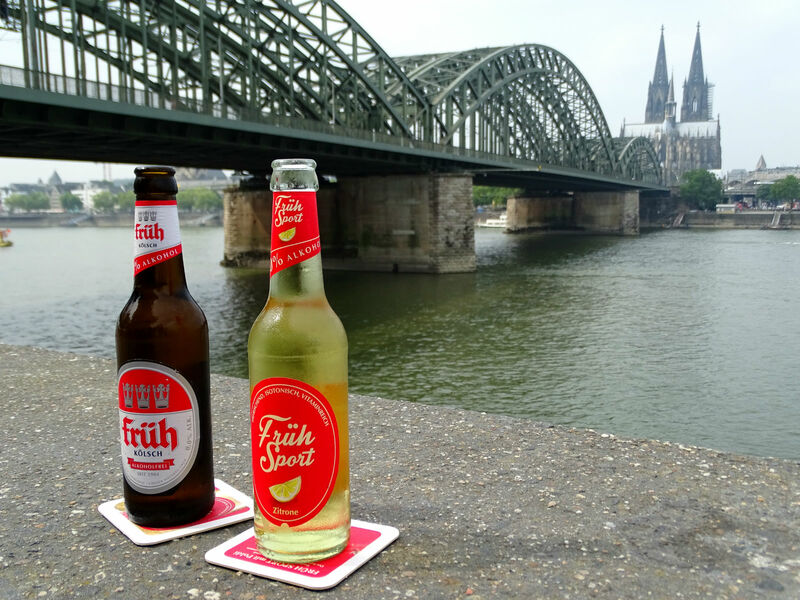 Before crossing the Rhine again, we stop at a snack bar in front of the Hohenzollern Bridge and drink a Kölsch! Alcohol-free of-course, it is after all only midday. 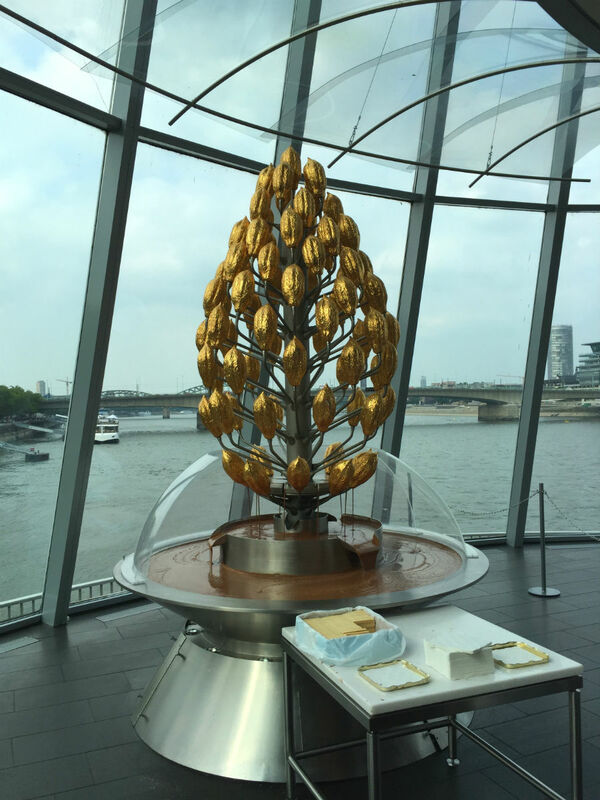 This is a must on a visit to Cologne! 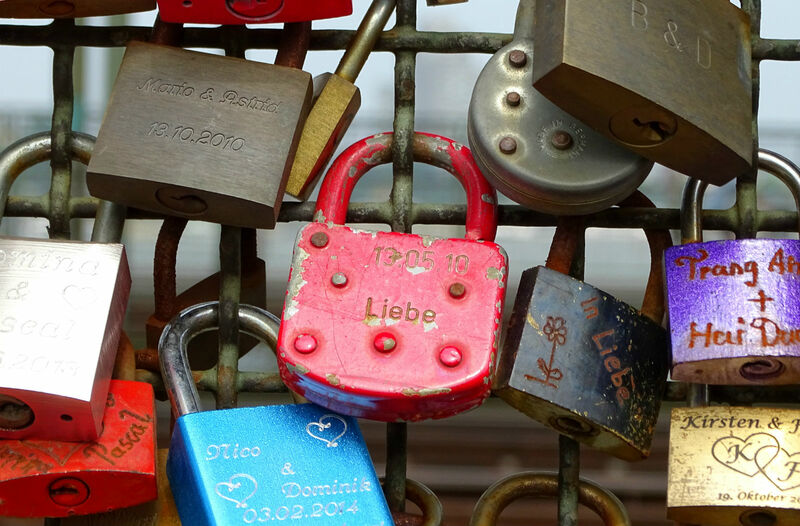 Over the Hohenzollern Bridge, past the countless love padlocks, we head once again in the direction of downtown. 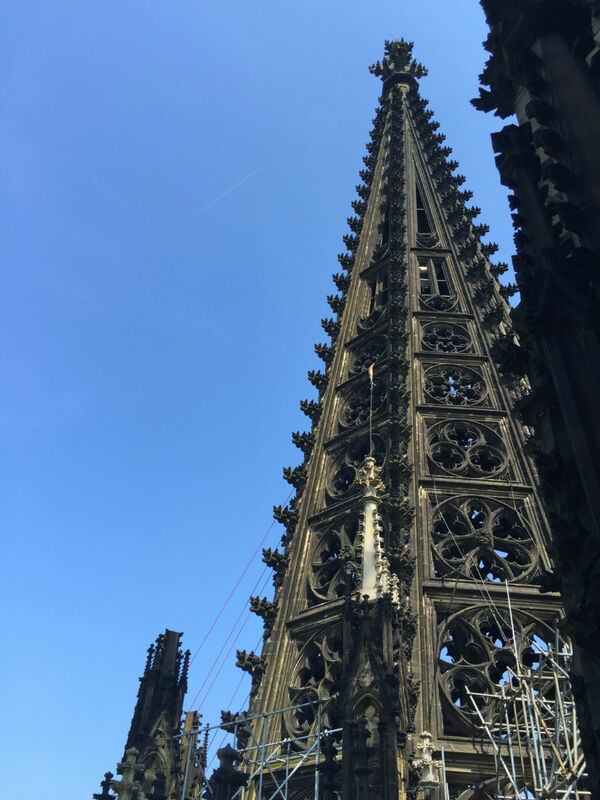 We head straight toward the Cologne Cathedral. 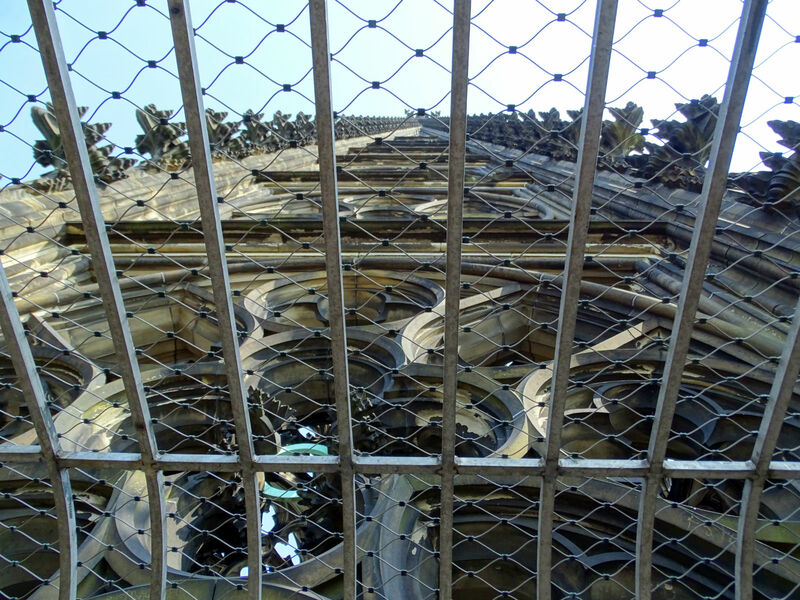 Next on the program is supposed to be the ascent up the tower of Cologne Cathedral. 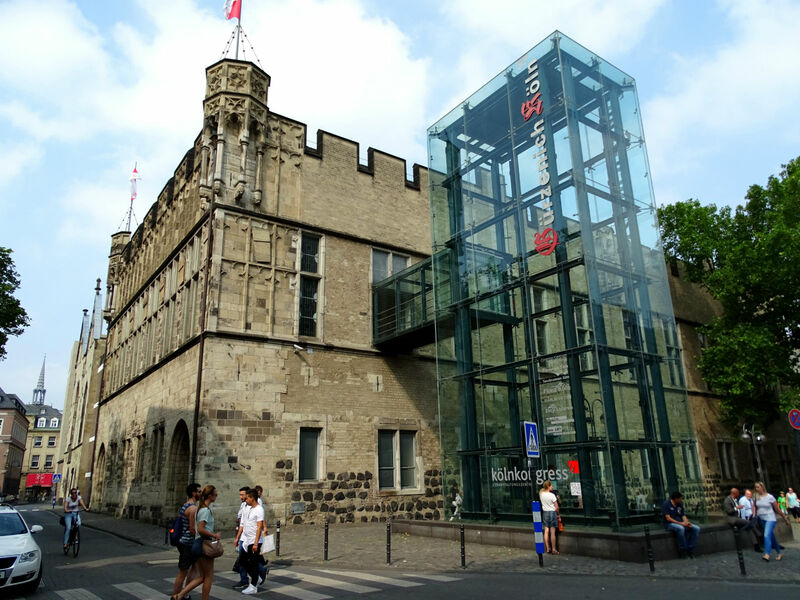 Since it is quite cloudy and we still have another day in Cologne, we move it to tomorrow and continue our city walk. 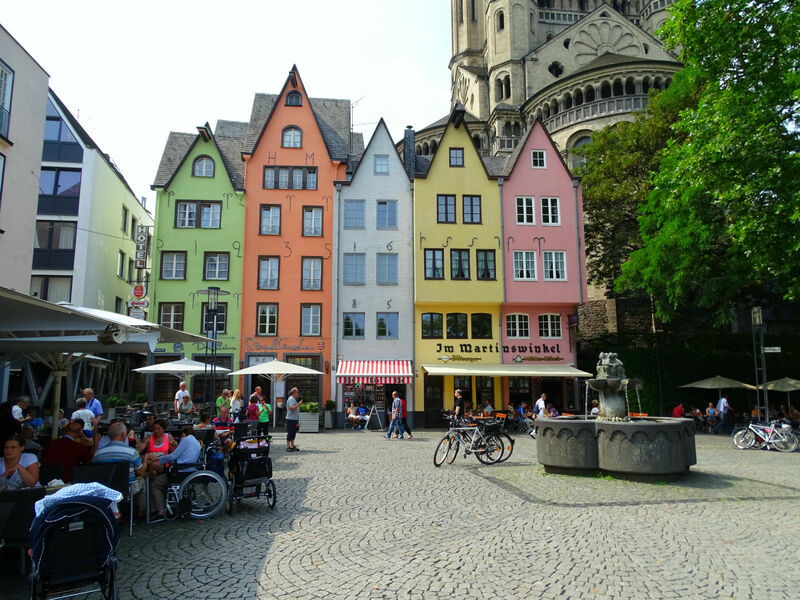 We stroll through the streets of the Old Town, on the banks of the river Rhine, to the fish market. 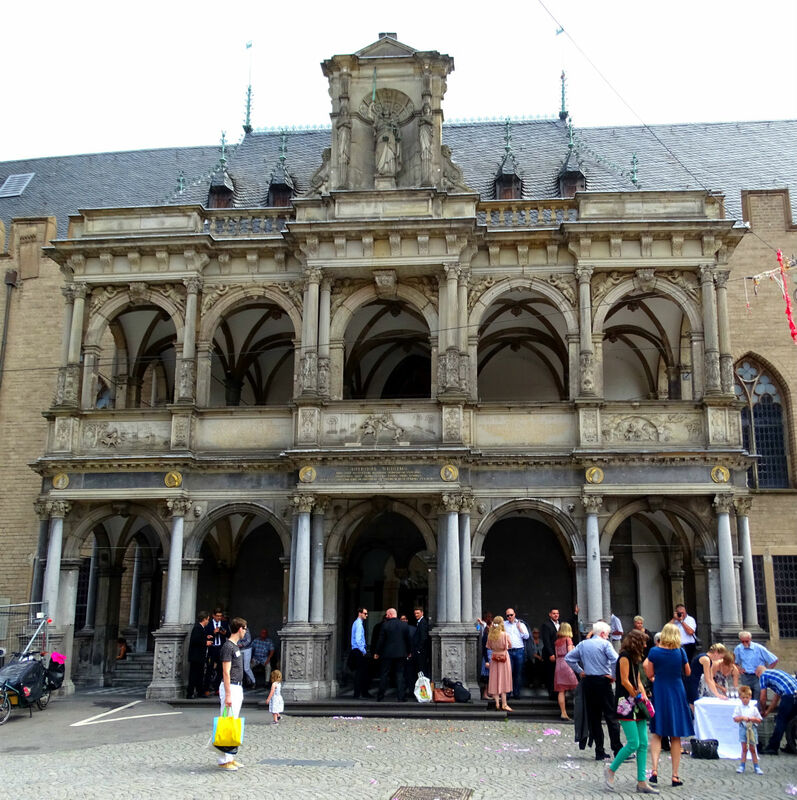 There we look at the Great St. Martin Church and walk to the historic town hall. 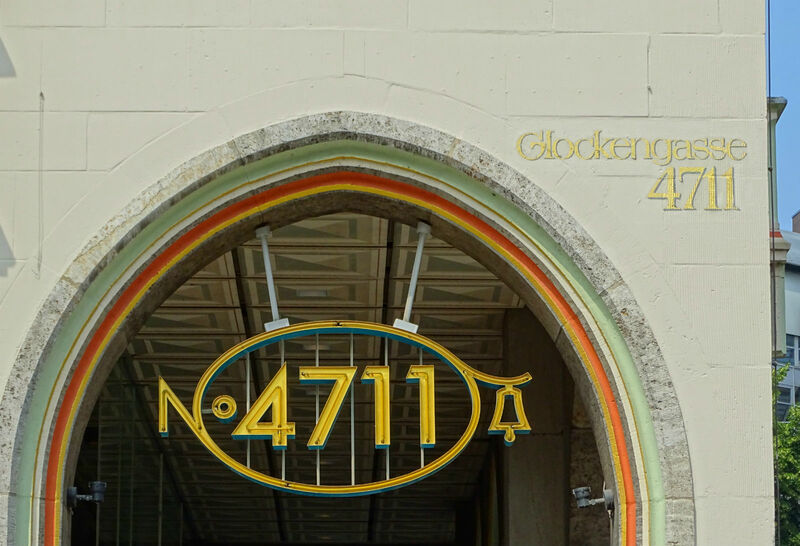 Over the High Street – a long shopping street – we go to Glockengasse 4. There is the magnificent 4711 house, where a carillon plays on the hour. 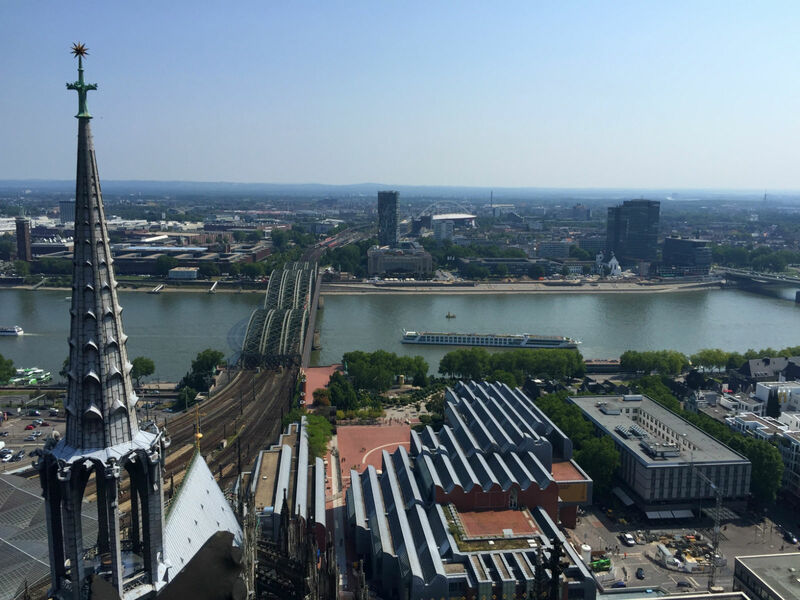 Unfortunately, at this time with roadworks, of which there are always plenty in Cologne. 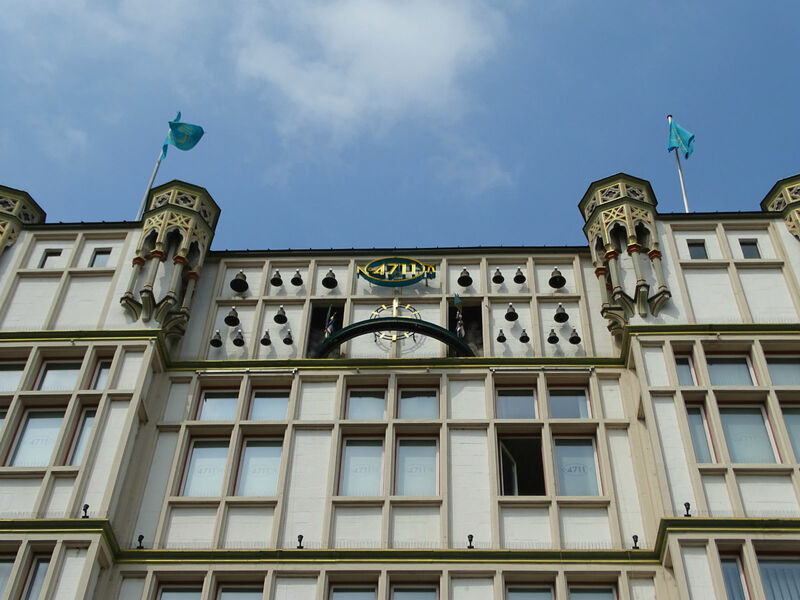 Over Schildergasse – also a large, well-frequented shopping street – we head back towards the Rhine. On the way we also still pass Gürzenich. For 500 years, it is used as a banquet hall. 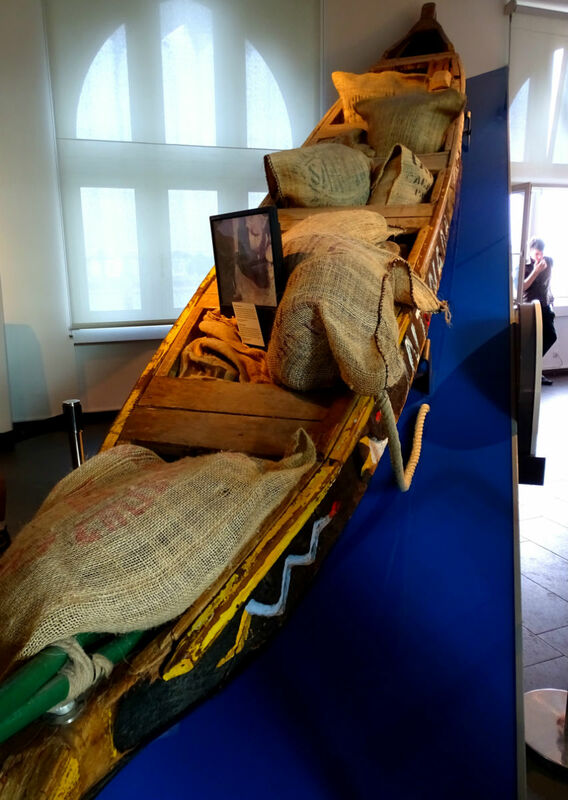 Our next destination is the Chocolate Museum in Rheinauhafen. It is located at the top of a headland and is said to have the shape of a ship. But more importantly is its contents. 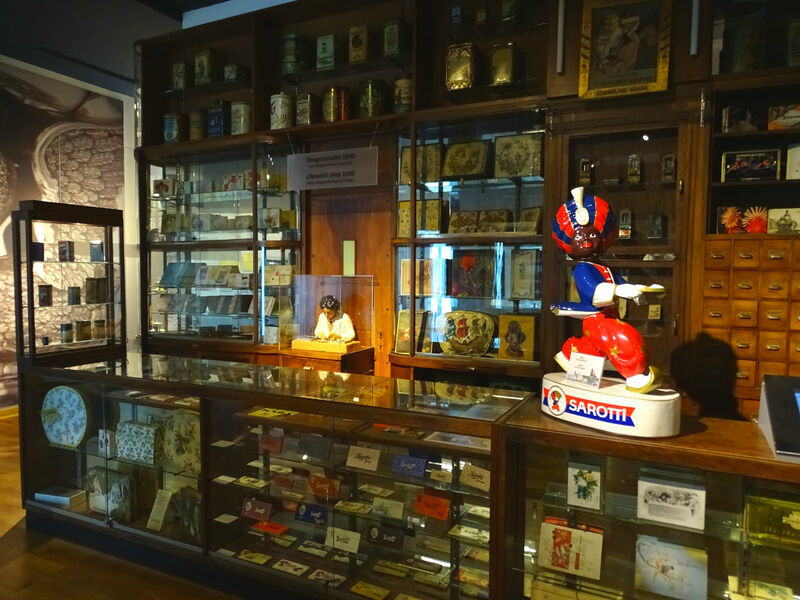 It is the 3rd chocolate museum on our tour and the biggest. 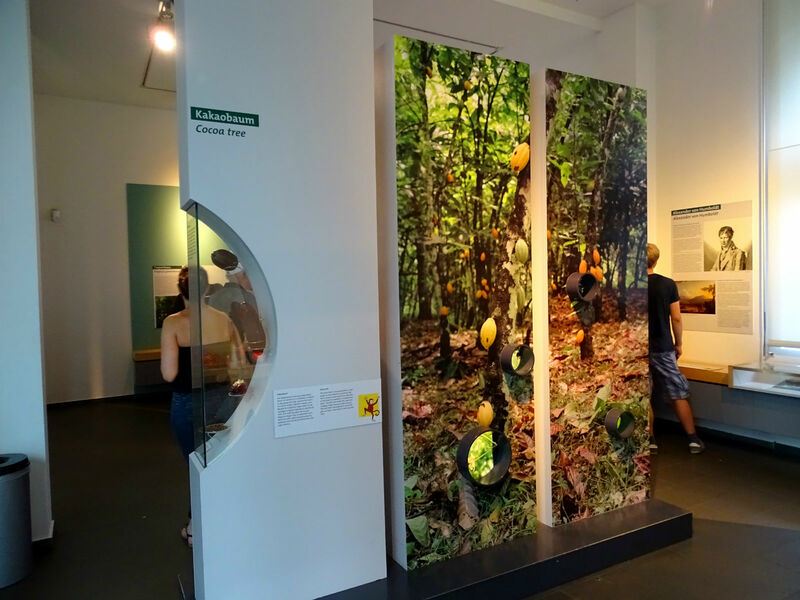 Similar to the other museums, the production of cocoa is explained. 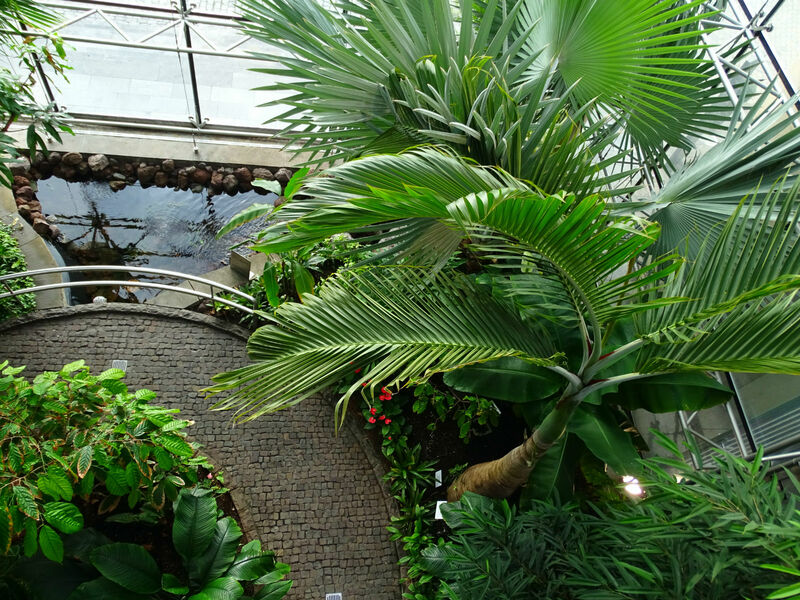 In a tropical greenhouse cocoa plants are kept. 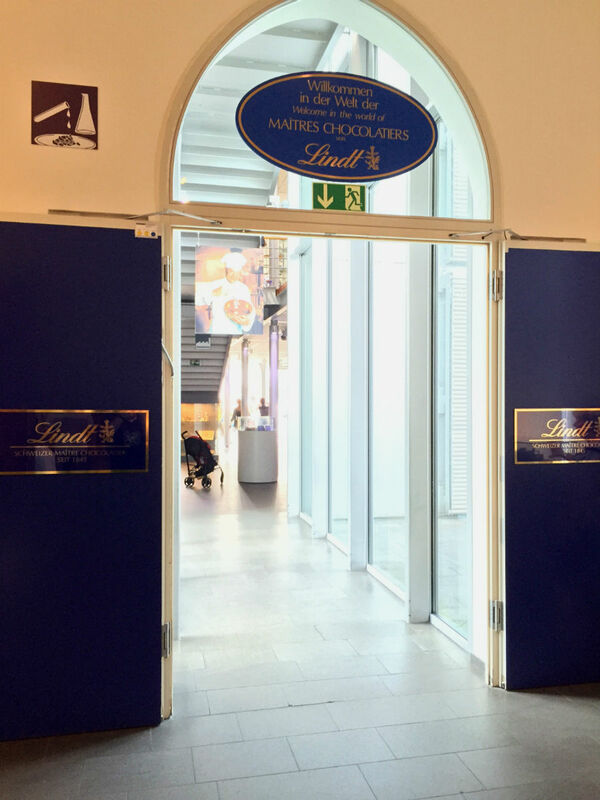 What is special at Cologne Chocolate Museum is a production line where you can observe, how little squares of chocolate are produced. 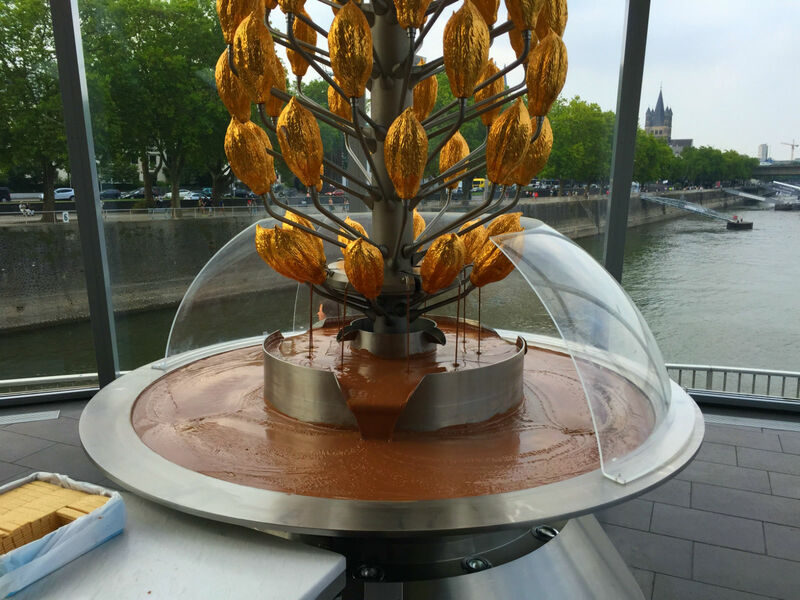 At a beautiful chocolate fountain, you can also have a taste. You can easily spend a good two hours here. 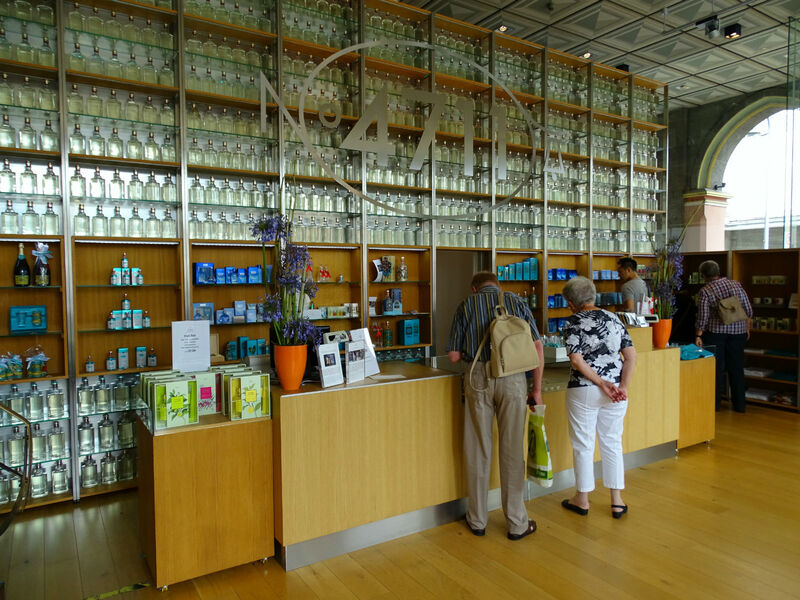 Admission costs 9 euros (with a Cologne Card a little less). After many chocolates, we gladly walk another 1.7 kilometers upriver, we are on the track of “Tatort”. As old Tatort fans (a German, police crime drama), we often saw the Commissioner Ballauf and Schenk standing at the Wurstbraterei. 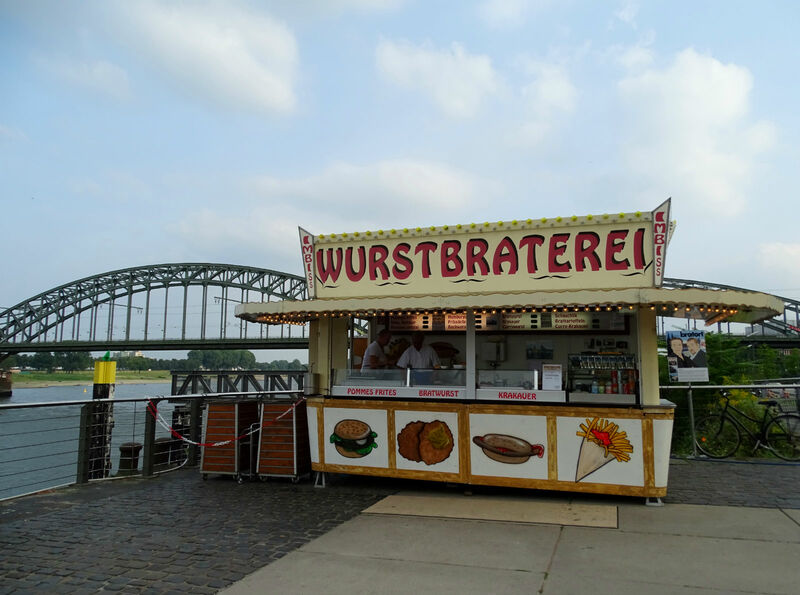 Unlike as on television, the famous sausage stand is not in Deutz, but on the south bridge. 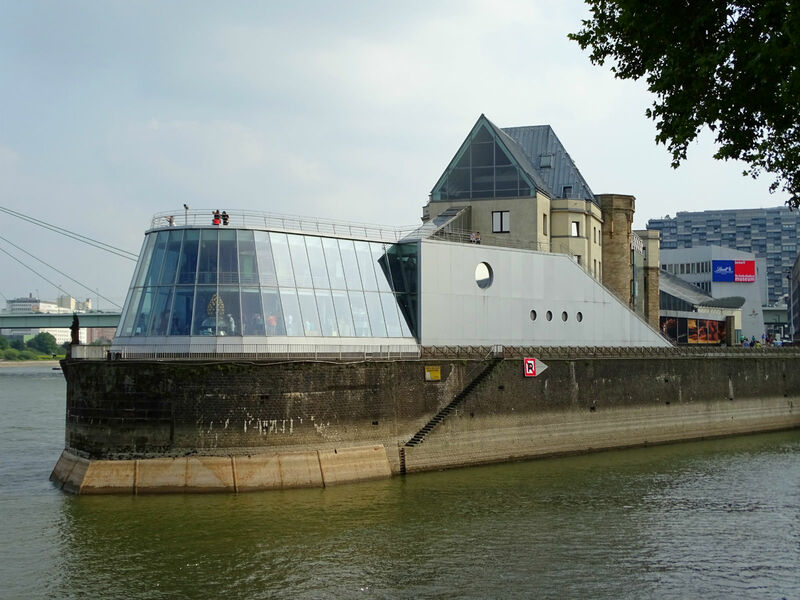 It is placed at Kennedy-Ufer on the other side of the Rhine, just for filming. We are served tasty Currywurst by a real Cologne veteran (and I should know, because I lived 3 years in Berlin). But the sausage is very quickly a minor matter. 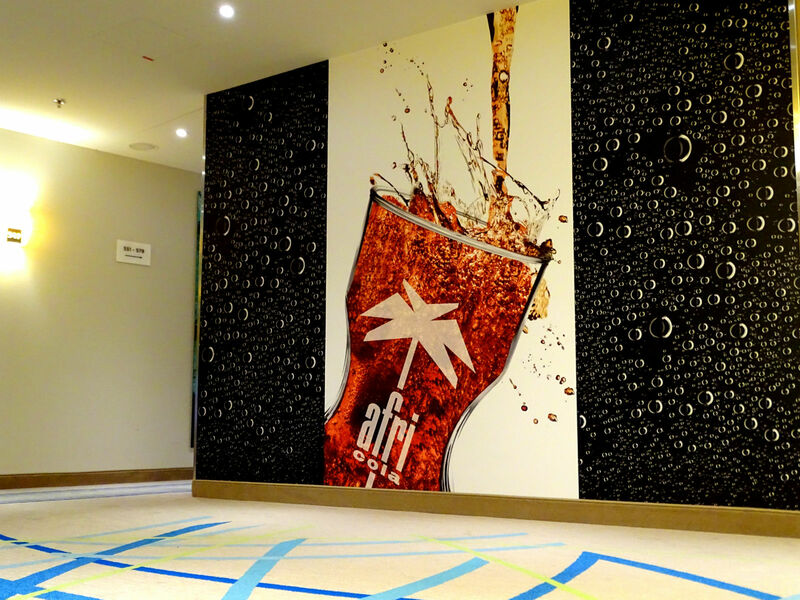 Most of all, in fond memory, remains the witty conversation with the owner. 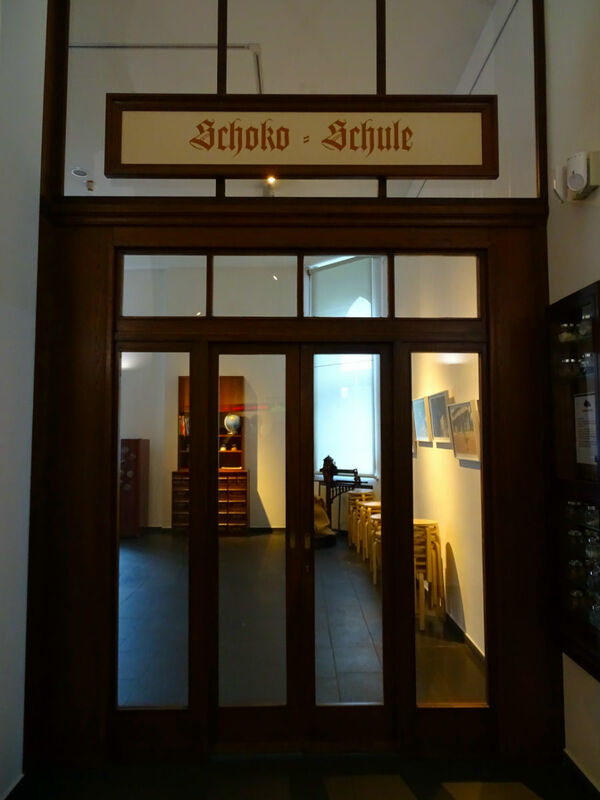 Whether you’re a Tatort fan or not, it’s worth a visit! 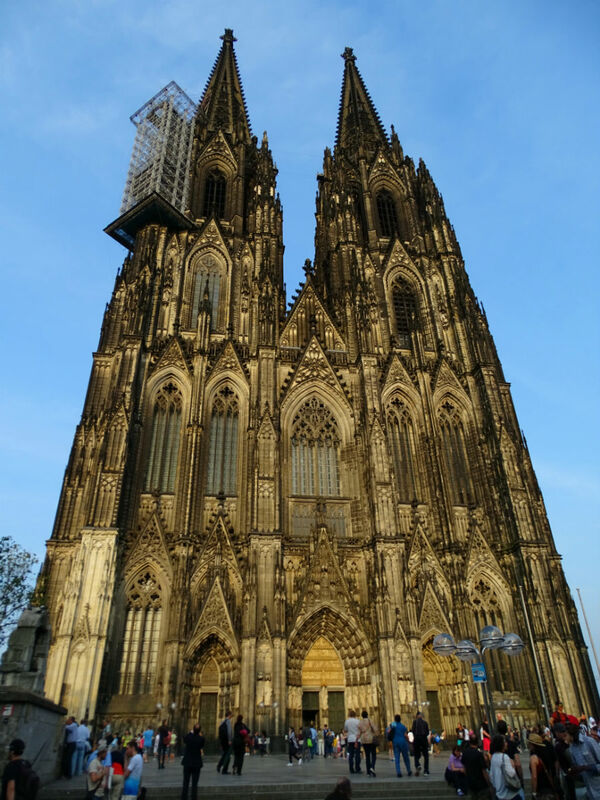 The next day we walk from the hotel to Cologne Cathedral. Shifting the tower climb by one day, was a good idea, as today the sky is clear. 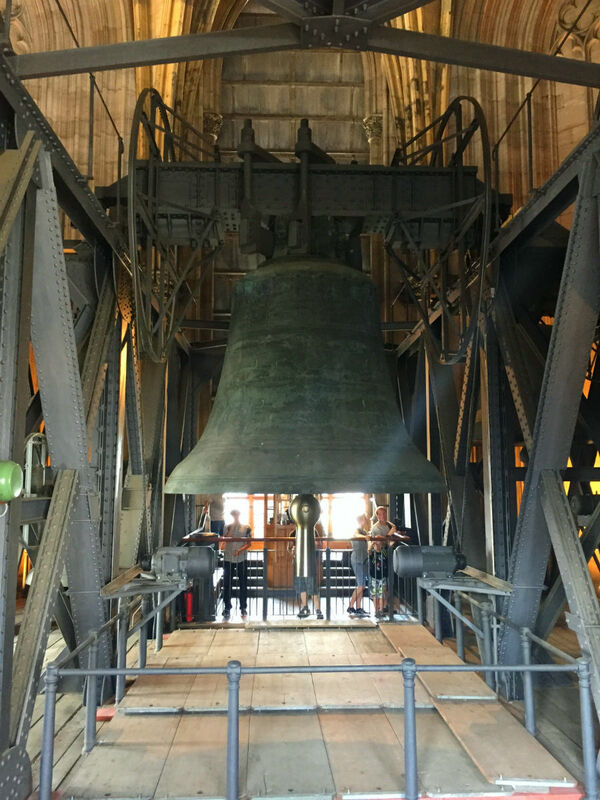 At over 30 degrees we have to head up 100 meters and climb 533 steps up the narrow tower. We work up quite a sweat and then there is also still “oncoming traffic” to face. But the view is worth the hardships! 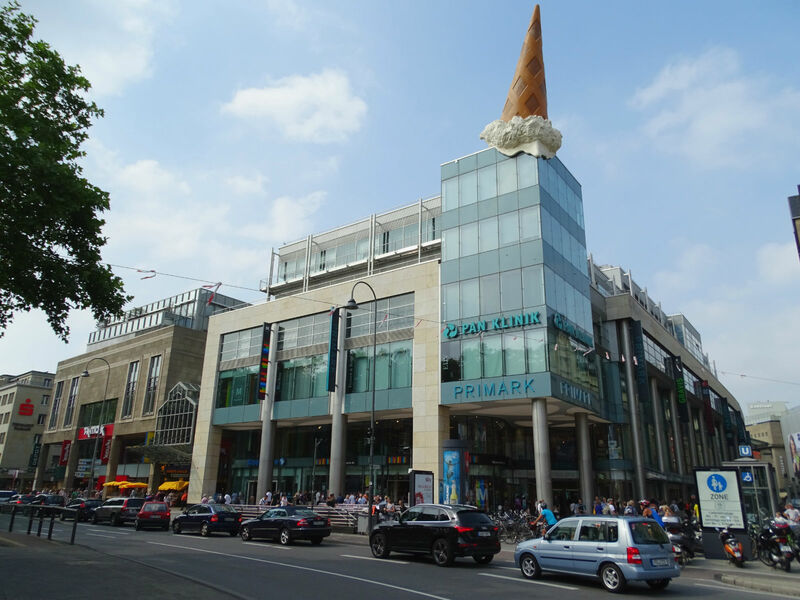 We stroll a bit through the pedestrian area and the many shopping streets before our mini road trip comes to end here. 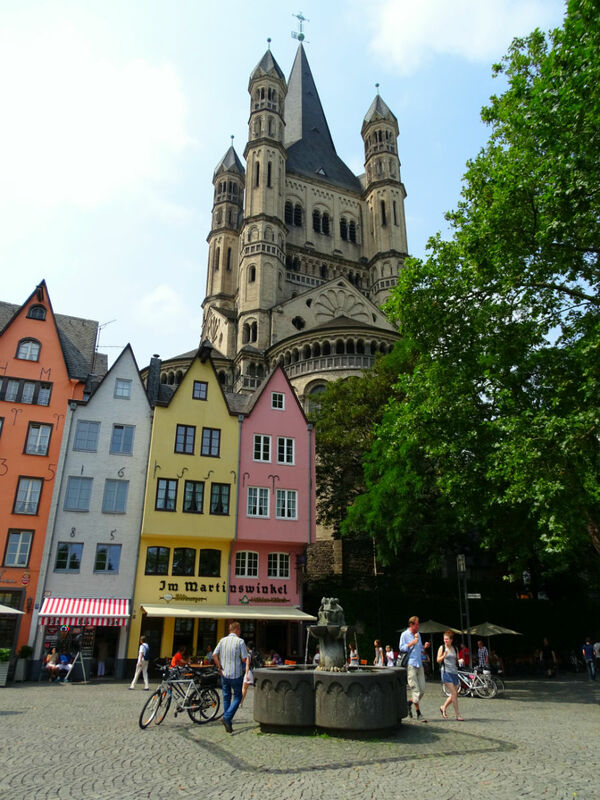 Cologne does not have that typical beautiful old town, yet is totally endearing. The city is a colorful mix, thrown together and yet somehow coherent. 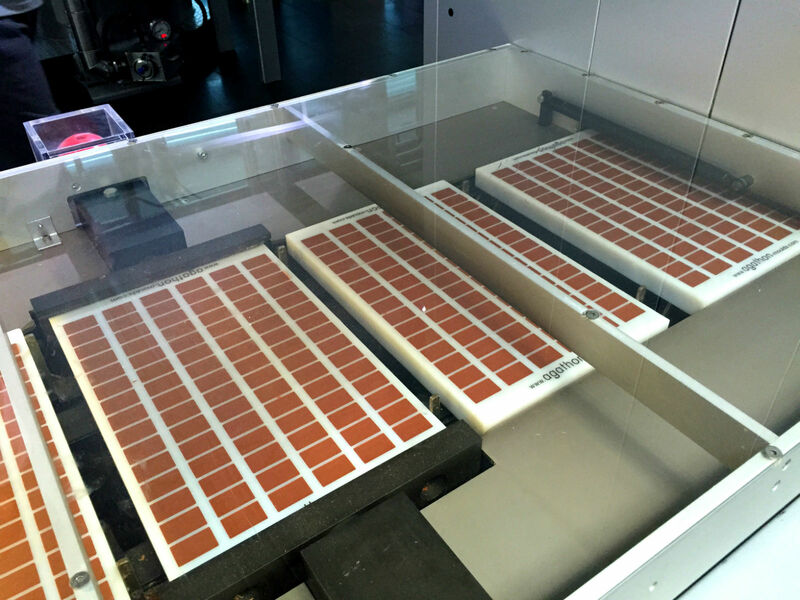 Uncomplicated, strikes it good! 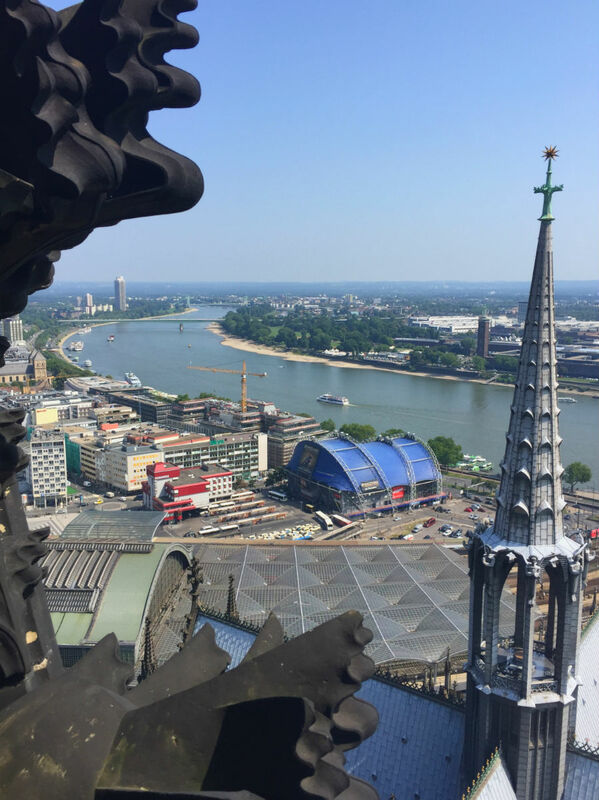 Here, everyone can do what he would like: sitting comfortably in the evening with a Kölsch at the Rhine, eat varied and good food, or watch a musical. 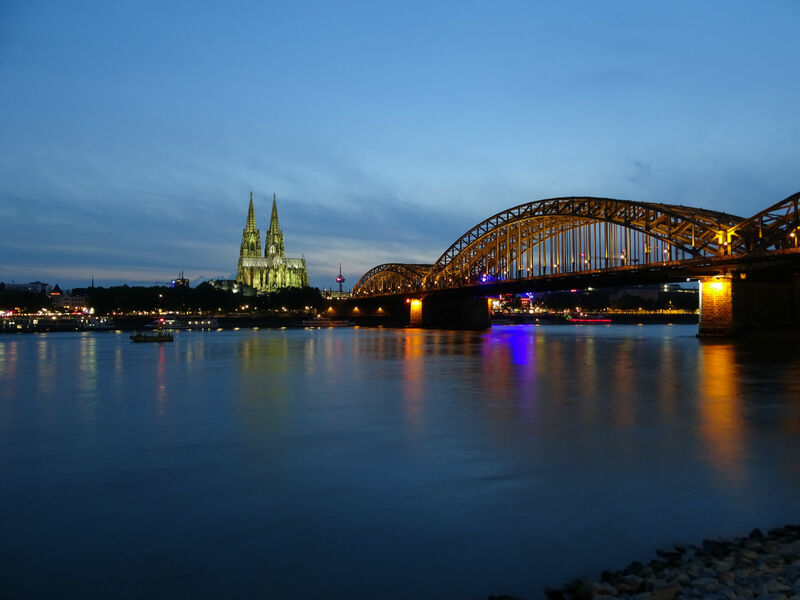 Cologne is a versatile, cosmopolitan city that is perfect for a sightseeing weekend. 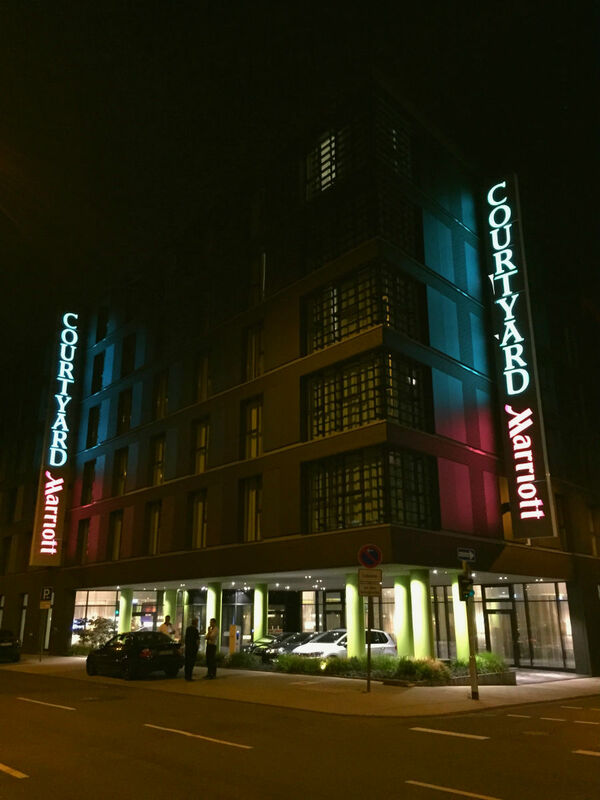 In Cologne, we have once again demonstrated a good hotel choice with the Courtyard by Marriott. 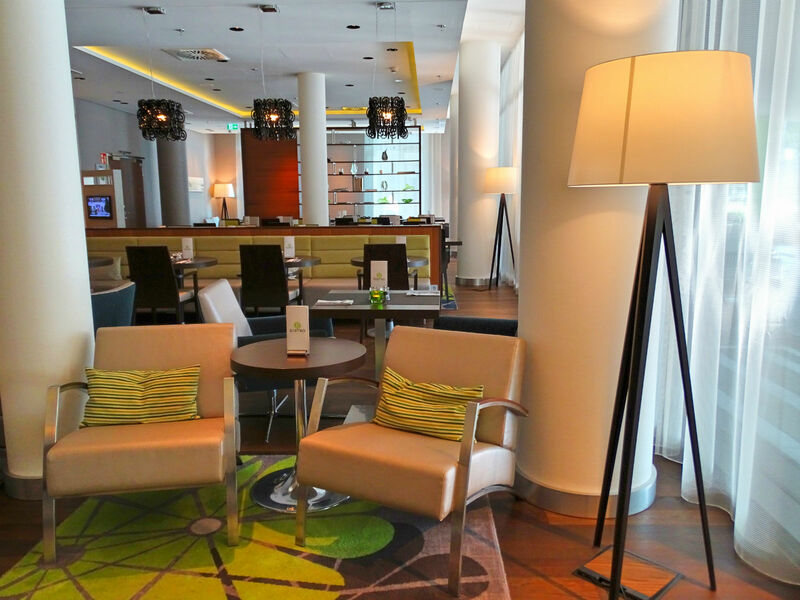 The new, stylish hotel and its friendly staff made the feeling of wellbeing come easy to us. 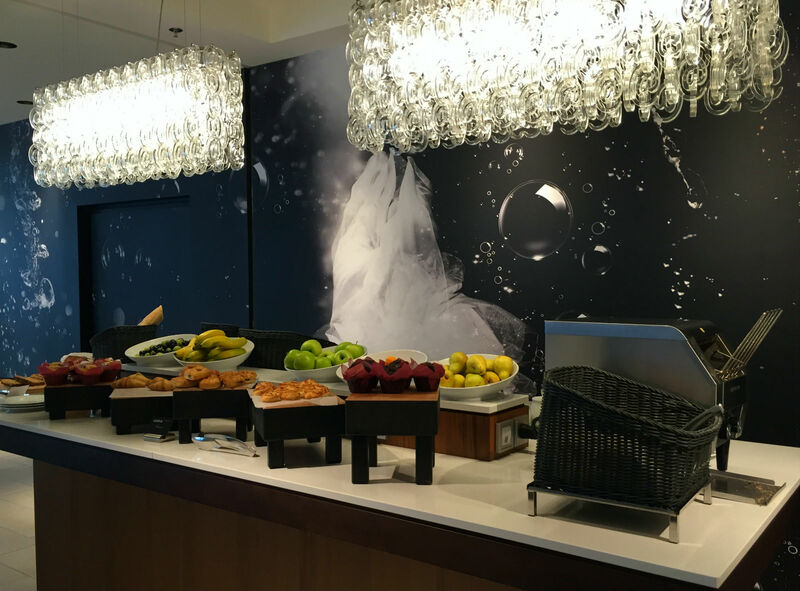 The breakfast was extensive with specialty coffees and fresh scrambled eggs. 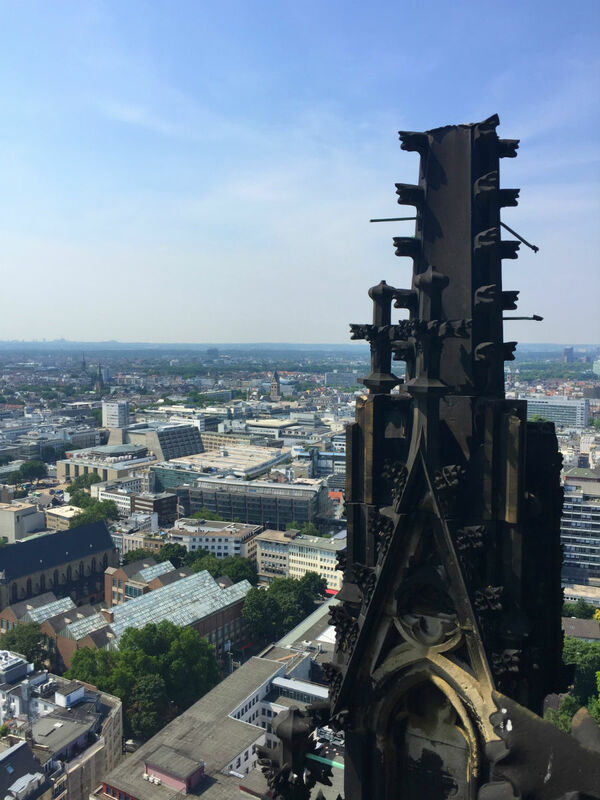 So we could carelessly focus on the exploration of Cologne. It is centrally located. 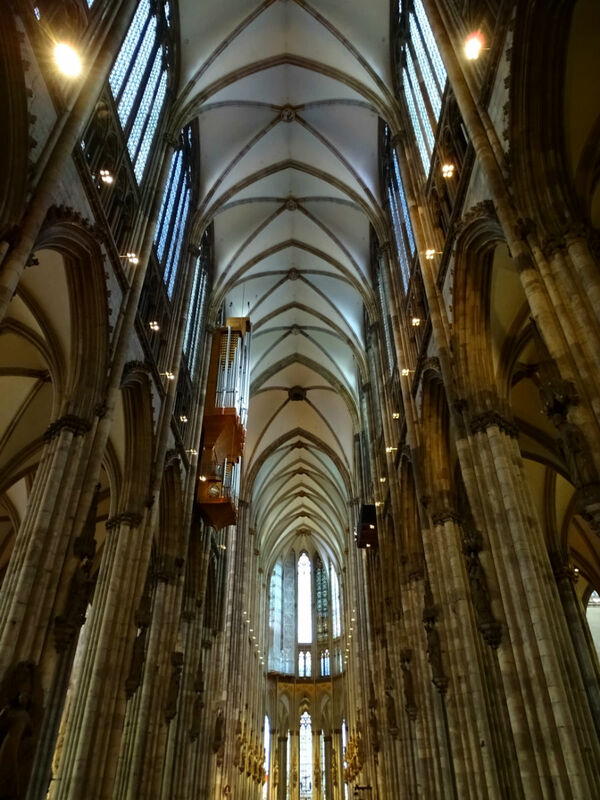 We walked in about 10 minutes to the Cologne Cathedral. Public transport starts right on the next street corner. Incidentally, 200 meters from the hotel is also Eigelstein Torburg. 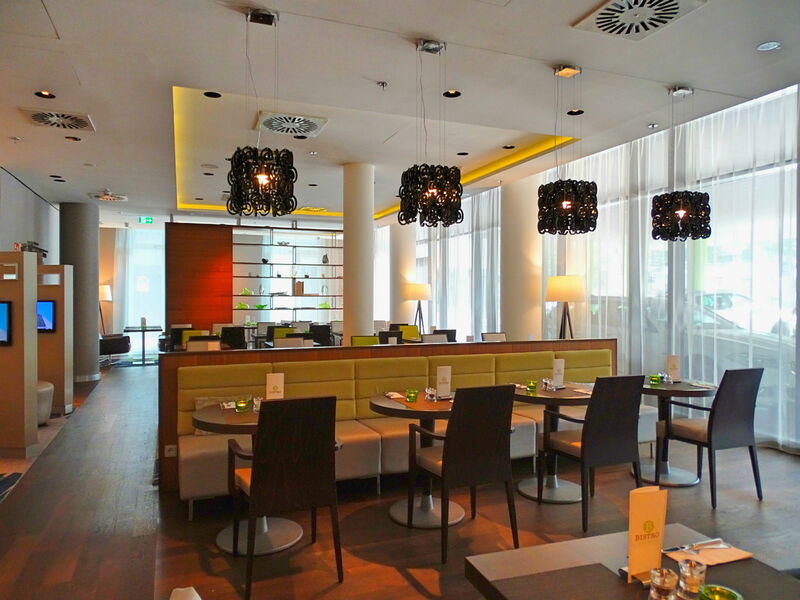 The Eigelstein square is surrounded by many restaurants and evenings invite you to linger.